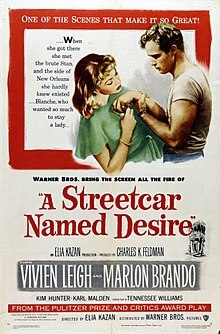 A Streetcar Named Desire is a 1951 movie. It is based on the 1947 play by Tennessee Williams. The movie stars Marlon Brando and Vivien Leigh. This page was last changed on 29 January 2018, at 00:10.